I've been a fan of Korea for some years now and you cannot understand how excited I was to receive some of their amazing beauty products, amazing not only because of my deep love for Korea in general but because of their great skin, I definitely invite you to do some research about it, their skin is flawless. I got the chance to know peachandlily.com which is a korean beauty online store, I was really surprised of the variety of skin-care products they have I wanted them all!! They have products for different skin concerns like: Hyperpigmentation, Acne, Dryness, Oiliness and the list goes on. 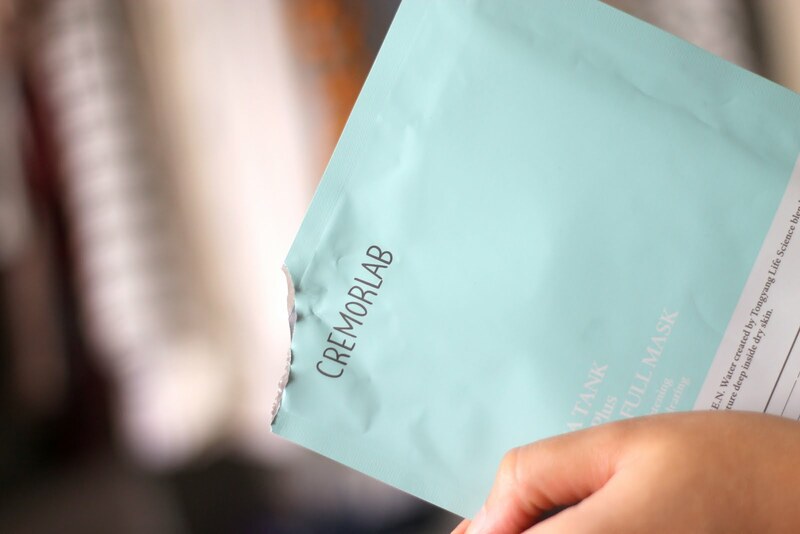 This time I focused on the hydration of my skin and selected this awesome sheet mask: Cremor Lab Hydro Plus Aqua Tank Water-Full Mask. After having it on my face for about 20-25 minutes, my skin was incredibly soft and had this amazing natural glow, I completely regret not getting more of them they are sooo good. If you want some ''YOU'' time and just some minutes to relax and take care of your skin at the same time, I recommend this without a doubt. He sido una fanática de Corea por unos buenos años ya y creanme que no tienen idea de lo emocionada que me puse al recibir algunos de sus increíbles productos de belleza, increíbles no solo por mi profundo amor por Corea en general <3 sino por el hecho de la piel que lucen los Coreanos, los invito a que investiguen un poco sobre este tema y vean a qué me refiero. Tuve la oportunidad de conocer a peachandlily.com la cual es una página en línea de productos de belleza Coreanos, me sorprendí de la gran variedad que tienen de artículos para el cuidado de la piel, los quería todos!! Tienen además productos para distintos problemas de la piel como: Hiperpigmentación, Acné, Resequedad, Grasa y la lista continúa. 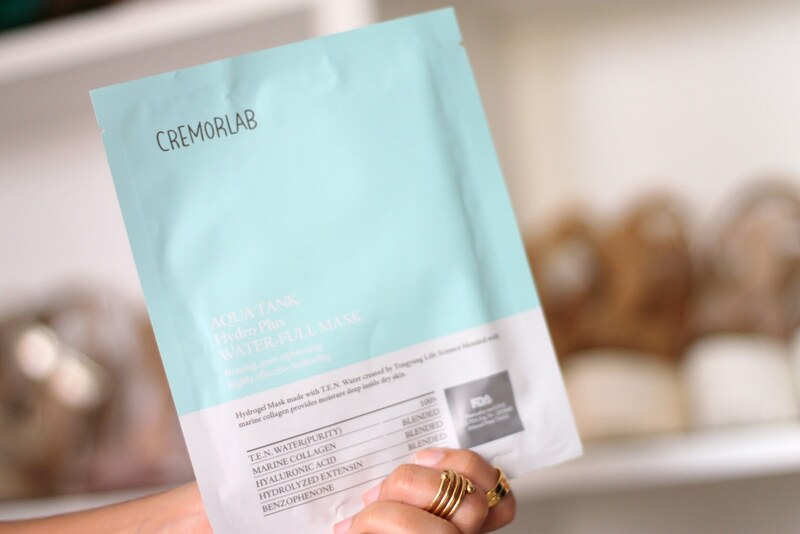 En esta ocasión me enfoqué en la hidratación de mi piel y seleccioné esta mascarilla: La Cremor Lab Hydro Plus Aqua Tank Water-Full Mask. Después de tenerla en mi cara por aproximadamente 20-25 minutos, mi piel estaba increíblemente suave y con un brillo natural, me arrepiento el no haber obtenido más de estas, son buenísimas. Si quieren un tiempo para ustedes y algunos minutos para relajarse y cuidar su piel al mismo tiempo, les recomiendo esto sin duda alguna. Never heard of this brand but the packaging looks promising! I've used a Korean mask very similar to this one, my skin felt really refreshed and smooth after! One of my friends is really into Korean skincare, she gave me a face wash and two masks... as soon as I'm finished with my current face wash I'm going to start on my new one- so excited! Tips for a better translation are very similar to tips for better face treatment choice. The first step is to choose the right product for your complexion. The second one is to understand is this product useful for you. he last one is to calculate the time for reaching your final goal with the help of this product.